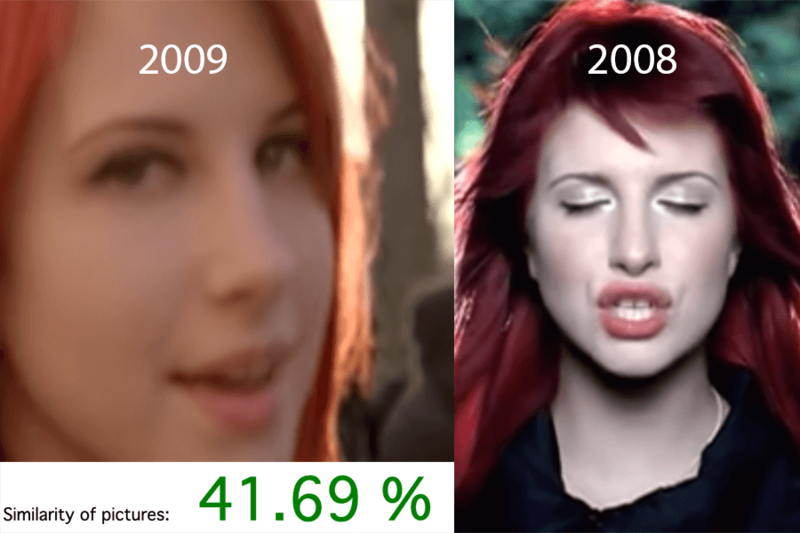 If we look at the soloist of the band Paramore, we can see that the face shapes in the video in 2008 resemble 41.69% compared to 2009. I did the first test on Paramore because the two images may look different, but if we value over 50%, we see a rate of close to 100%. The difference between two different Paramore clips 2008 and 2009. I decided to try my other test on Avril Lavigne to clarify the rumors, and the results seem pretty surprising. One of the first clips taken in 2010. The other is a clip taken in 2013. The reason why I chose 2013 to understand differently is that the artist is suddenly in a different form. There is exactly 27.20% similarity between the two images. We see a result that is almost 80% different from one, but more than 50% of the similarity between one and 27.2%. 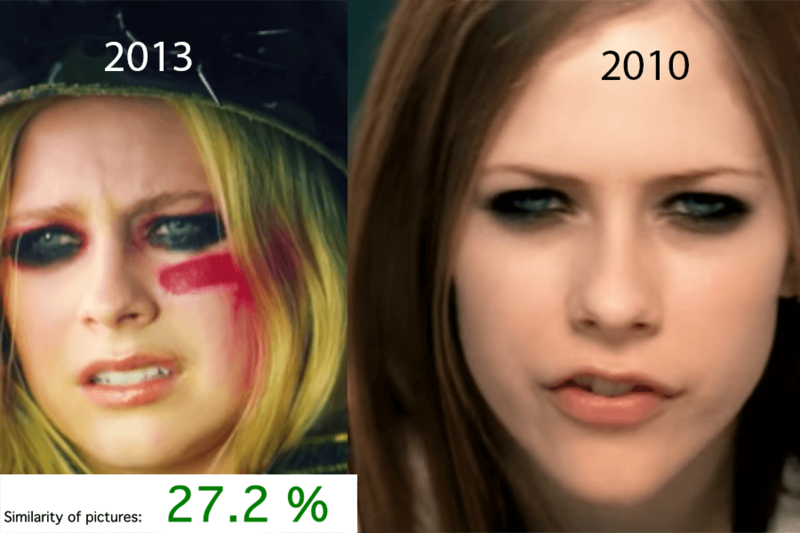 Avril Lavigne video taken in two different years. It’s from 2010 and 2013. The only reason we add 50% difference in two pictures is because they are the color ratio on the clips. Avril Lavigne has a 80% compatibility so the artist can use stunt instead of his own. There may be physical changes in humans over the years. When we measure this situation very thin with TensorFlow, a result of almost 100% emerges, if this value is low, we get older or different.